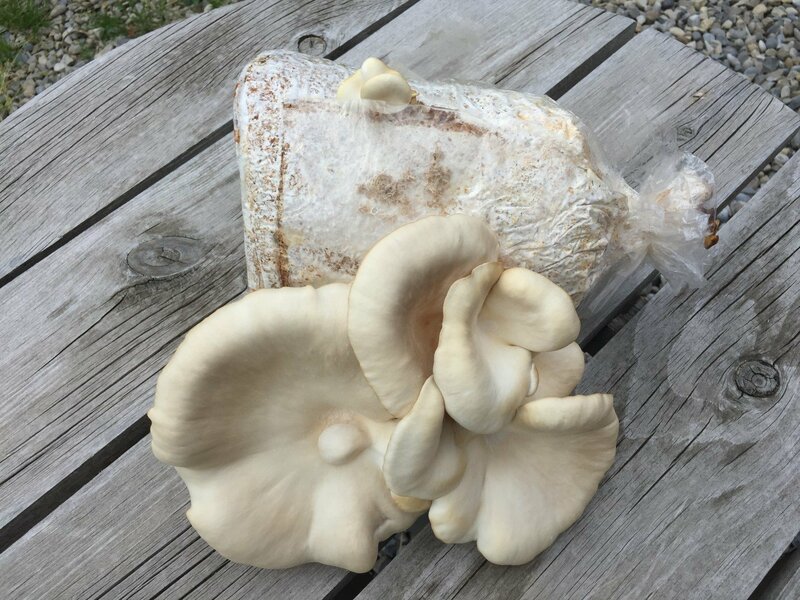 Pearl oyster mushrooms are one of our favorites. These mushrooms are prolific and produce large delicate clusters of pure white mushrooms. As with other members of their genus they can be easily grown inside or outdoors however, they can be prone to insect infestations. Depending on your site, you may need to keep an eye on them and harvest relatively quickly after they start to fruit.